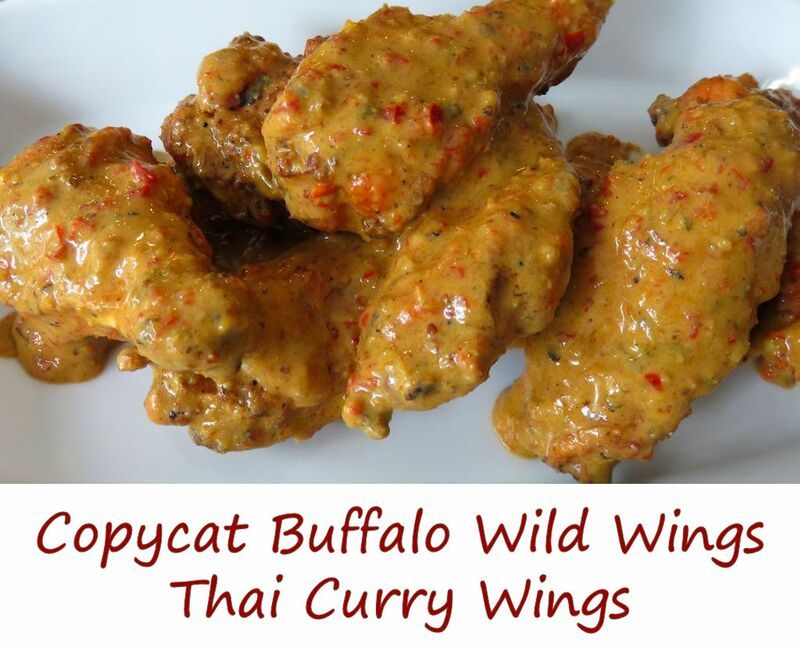 The first time I tried the Thai Curry Wings at Buffalo Wild Wings I was blown away. It was in West Chester, Ohio, and I remember it like it was yesterday because I absolutely loved the combination of coconut, curry and just a bit of heat. I could’ve just licked the sauce off the wings, but then we were in a public place and that would’ve been awkward. Ever since I’ve been looking for a copycat of BW3’s sauce, and here it is. Now I can lick the sauce off the wings in the privacy of my own home! I could not find Thai chile peppers in our supermarket, so I had to go to plan B. I picked up a few packages of dried cayenne peppers, reconstituted them, and chopped them up. It was a great save. I found the Shan chicken white karahi mix in the Pakistani section of our international supermarket. If you can’t find it nearby you can always order it online. Also try my copycats of BW3s spicy garlic and Parmesan garlic wings. You might end up with leftover sauce. That's a good thing. Place wings in a large resealable baggie or container. Add the oil, salt and pepper. Seal and toss to coat. Toss wings with sauce before serving. Mince the peppers and then pound in a mortar and pestle or grind into a paste using the side of a knife blade. You want the peppers to form a paste. Place the peppers and remaining ingredients into a saucepan over medium heat. Stir until the ingredients are combined. Reduce heat to a simmer and continue simmering, stirring occasionally, while the wings are cooking. You want the sauce to thicken slightly. NOTE: I could not find Thai peppers at our grocery store. You can substitute jalapenos or seranos for more heat. Preferably you want to use a red pepper. I bought dried cayenne peppers, which I then reconstituted in hot water for 1 hour. I then removed the seeds and minced the peppers into a paste.